Why won't Ireland ever be known for Rock Bands? Because they're better known for Shamrocks. 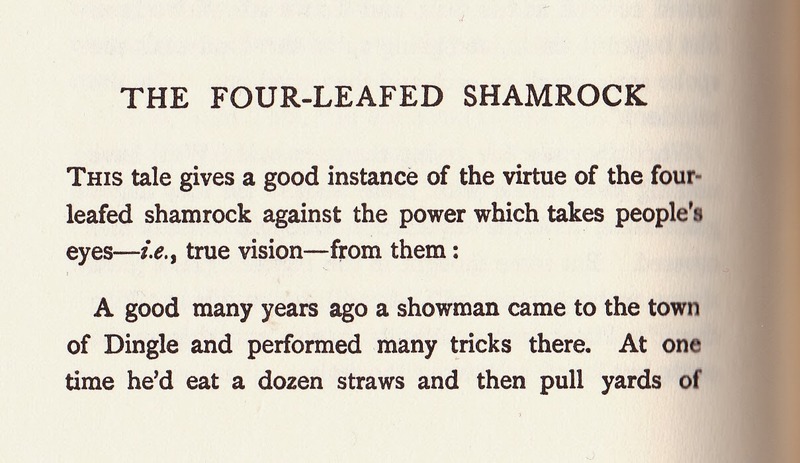 March is not just Dr. Seuss's birthday month and Reading Month, it's also a time to celebrate St. Patrick's Day and Ireland's contributions such as the Blarney Stone and telling blarney! Today and in the next post enjoy some Irish folktales with a wee Michigan connection starting with, born in Detroit, Jeremiah Curtin. A major 19th century collector of Irish folktales, Curtin's focus really was on other aspects of folklore and travels. My mother used to walk through my yard and find four-leafed clovers. I wonder if they tried to keep enchantment and devilment from me? My partner in the children's room back at Mount Clemens Public Library, Marge Kinzy, always had a pot of shamrocks, although I never saw any with four leaves. 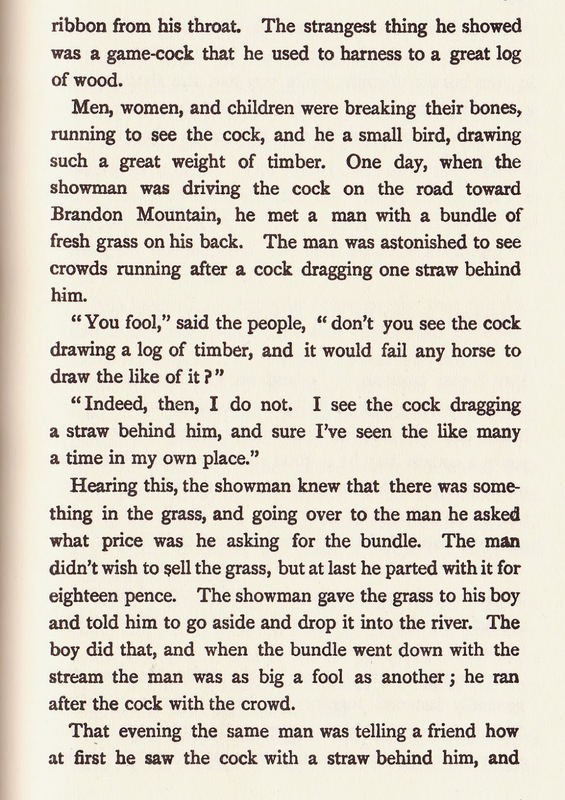 This story came from Curtin's Tales of the Fairies and of the Ghost World. The widest listing of his other works online can be found at the Online Books Page and shows the variety of his work.